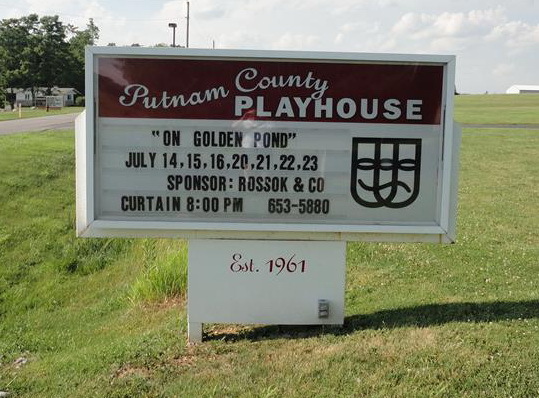 Putnam County Playhouse: "ON GOLDEN POND" SET FOR JULY! 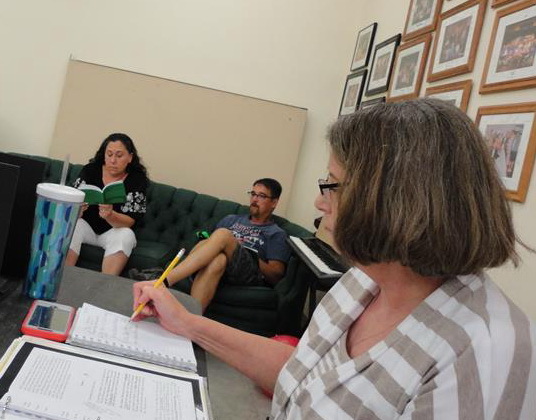 "ON GOLDEN POND" SET FOR JULY! 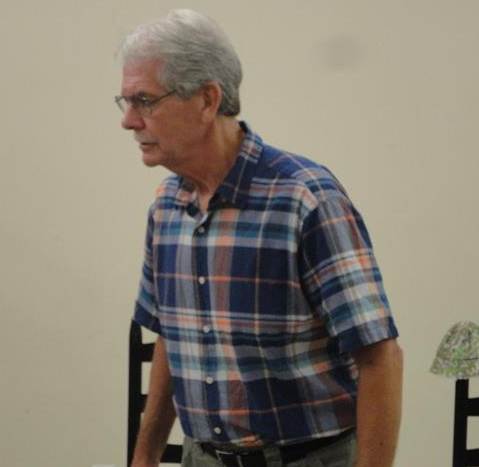 On Golden Pond the comedy-drama by Ernest Thompson is the July production of the 55th season of Putnam County Playhouse. It will be presented July 14-16 and July 20-23. Tickets will go on sale on Monday, July 11. All shows begin at 8 p.m. and all tickets are $10. 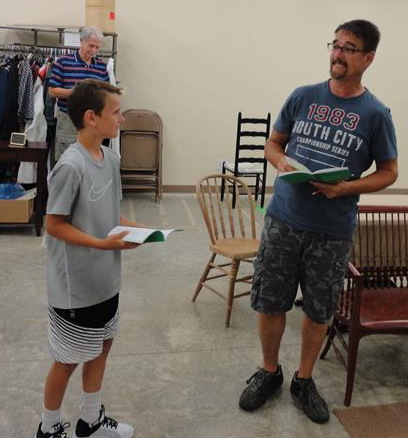 The show is currently in rehearsal under the direction of Jack Randall Earles. Assistant director is Sandi Rossok. Working on the technical side are Jim Green running the sound board and Melissa Green running the light board. Stage manager is Cameron Wunderlich. 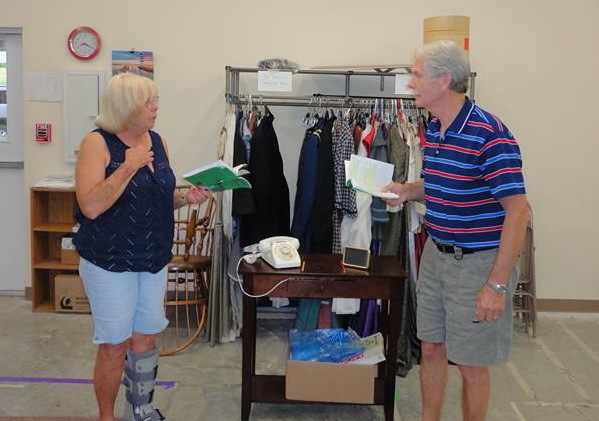 The show features Vickie Parker and Alan Zerkel in the leading roles of Ethel and Norman Thayer. Vickie Parker & Alan Zerkel as Ethel and Norman. Vickie Parker appeared last season in The Game's Afoot. 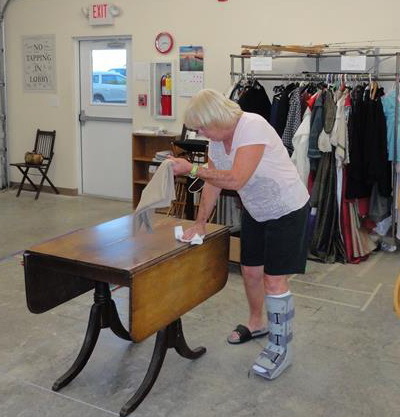 She is a past president of the board of directors of PCPH and has directed many shows here including Kiss Me Kate, 42nd Street, Fiddler on the Roof, and Annie. Alan was seen last season in The Bad Seed and was previously in Harvey. In addition to Parker, two performers returning from our original production are Brad Sandy as Bill Ray and Kim Brattain as Chelsea. Joining them in supporting roles are Ivan Glotzbach as Billy Ray and Dustin Bond as Charlie. Ivan Glotzbach and Brad Sandy as the Ray with Alan Zerkel looking on. Set design and painting is by Linda Gjesvold. Kim Brattain Brad Sandy, Sandi Rossok in rehearsal. Bond is doing the lighting design and is technical director for the production. Sound design is by Earles. Rossok is the costume coordinator. "LITTLE WOMEN" CONTINUES THIS WEEKEND!! 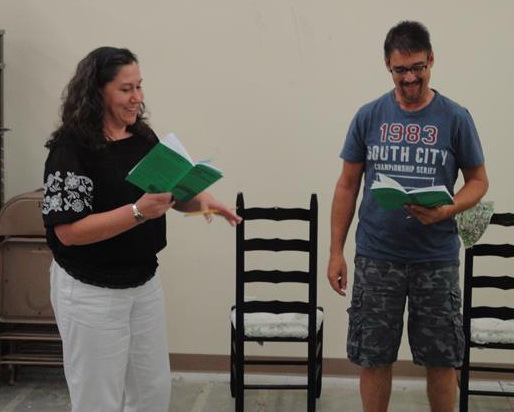 "LITTLE WOMEN" OPENS THE SEASON!